Microservices are revolutionizing how organizations build their enterprise architectures. We have spent a good couple of years talking deeply about APIs and their benefits, and understanding how APIs fit into an enterprise. The core benefits of disintegrated architectures can only be reaped if the system as a whole, including APIs, services, CI/CD processes, and development practices are designed with these objectives in mind. With the rapid adoption of microservice architectures (MSA), we need to re-evaluate our stance and strategies around APIs. We need to understand how APIs complement the core fundamentals of microservices. An API strategy makes microservices easier to manage, and allows them to coexist with existing legacy systems, rather than live in a box away from those critical systems. Combining a microservices architecture with a holistic API strategy is a proven way of getting the benefits of microservices while limiting the drawbacks. This session focuses on how an organization would work on a successful API strategy while adopting of microservice architectures (MSA). Chris is a Senior Director of Solution Architecture at WSO2 based in the London office. Prior to joining WSO2 Chris worked for one of the largest UK Government agencies. 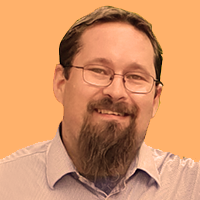 He has over 17 years of experience in large enterprise software architecture, design, development, and operations. One of his most recent achievements has been setting up and leading a new integration delivery group, implementing modern DevOps practices and environments and adopting agile delivery and development practices. This team now designs, develops and operates integration platforms critical to the operation of UK government infrastructure.